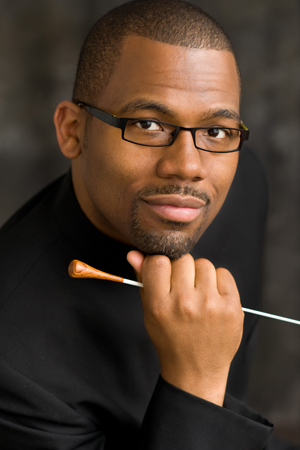 A two-time Michigan Emmy Award winner, a 2017 Sphinx Medal of Excellence recipient, and a 2015 GRAMMY Award nominee, Eugene Rogers is recognized as a leading conductor and pedagogue throughout the United States and abroad. In addition to being the founding director of EXIGENCE, Rogers is the director of choirs and an associate professor of conducting at the University of Michigan. At the University, Rogers leads the graduate choral conducting program, conducts the chamber choir, and administers the program of more than eight choral ensembles. His choirs have toured throughout China, South Africa, and the United States and have appeared at national and regional conferences. In December 2017, Musical America named Rogers one of the top 30 “Movers and Shapers” Professionals in North America. His past appointments include being director of the Michigan Men’s Glee Club, Macalester College (St. Paul, Minnesota), the Boys Choir of Harlem, Waubonsie Valley High School (Aurora, Illinois), and Anima Young Singers of Greater Chicago (formerly the Glen Ellyn Children’s Choir). In 2013, Rogers co-managed the production of the joint CD Ye Shall Have a Song with the Michigan, Yale, and Harvard Glee Clubs, a collaboration celebrating America’s three oldest collegiate choirs. Notable guest appearances include the State Choir of Latvia; the Ministry Branch of Education Inaugural World Youth Choir Festival (Singapore); the Lisbon Summerfest Chamber Choir and Festival Chorus; VocalEssence and the Minnesota Public Radio Harmony in the Park; the Association for Music in International Schools (AMIS) High School Mixed Honor Choir (Luxembourg); the British Columbia Music Education Association Honor Choir; the NAfME All-Northwest High School Mixed Choir; Westminster Chamber Choir (Florence, Italy, and Princeton, New Jersey); Choral Music Experience (London, England); and the Interscholastic Association of Southeast Asia High Schools Biennial Music Festival (Singapore). His 2017-2018 appearances included British Columbia, Madrid, Portugal, California, Georgia, Massachusetts, Minnesota, Ohio, Oregon, South Carolina, Texas, Virginia, Washington, and Michigan. Copyright ® Summer Choral Festival 2019. All Rights Reserved.